The Blues boss has revealed that his club tried to sign the £75 million Liverpool central defender. ANTONIO CONTE HAS taken the rare step of admitting that Chelsea missed out on a priority transfer target as Liverpool’s Virgil van Dijk made his £75 million move from Southampton. The 26-year-old Netherlands defender made his Reds debut in the 2-1 win over Everton at Anfield on Friday, scoring the winning goal in the FA Cup third round. Chelsea have since signed midfielder Ross Barkley from Everton but Conte admits that Van Dijk was another player that his side were interested in securing. “This is football. This is life,” Conte said in response to missing out on Van Dijk. ”For sure he was our target but as you know this is football. We can have a lot of targets but you must be able to reach those targets. “The transfer market is not simple for any club. 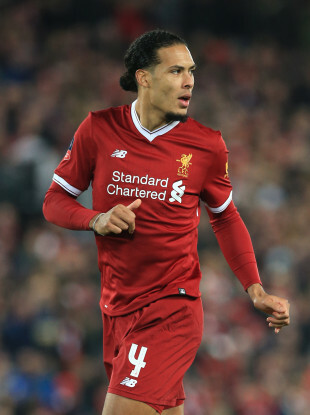 Liverpool bought Van Dijk to reinforce the defensive line, and I think Van Dijk is a top defender. And they spent 85 million euros for this player. “At the same time, they sold very well [Philippe Coutinho to Barcelona] because when you sell a player for this amount of money, and then you have the rest of money to invest and to improve your team. But I think the transfer market is not simple, especially if there is this amount of money. “It’s not simple, and Arsenal — I don’t know what happened but, I repeat, the best way to look at ourselves, to try to find the best solution for us is don’t look at the other. But I have great respect for the other teams, for the other managers. Email “'For sure he was our target' - Conte admits Chelsea wanted Van Dijk”. Feedback on “'For sure he was our target' - Conte admits Chelsea wanted Van Dijk”.